Billy Miller (left) visits Suits on February 1st. Daytime Emmy nominee Brynn Thayer (ex-Jenny, One Life to Live) and three-time Daytime Emmy winner Billy Miller (Jason, General Hospital; ex-Billy, The Young and the Restless) will guest star in USA Network’s beloved legal drama Suits next Wednesday, February 1st at 10 p.m. ET/PT. 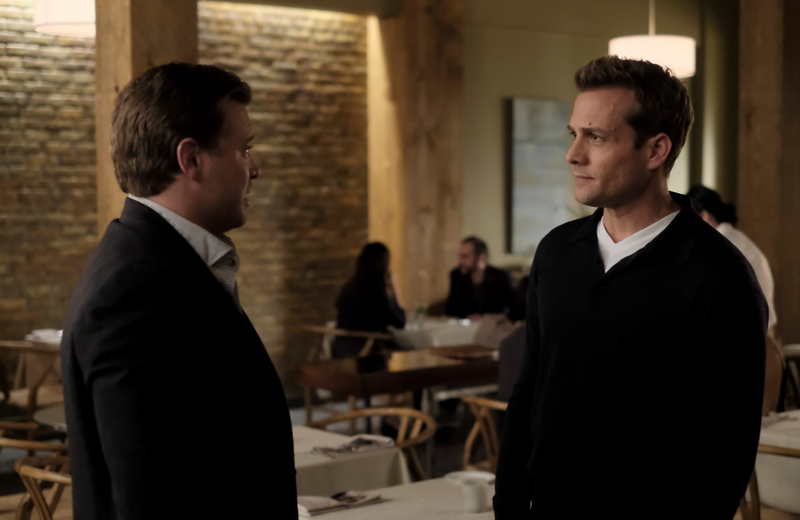 Brynn Thayer will debut as Lily Specter, the estranged mother of hotshot lawyer Harvey Specter (Gabriel Macht), with Billy Miller reprising his role as Harvey’s younger brother Marcus Specter.